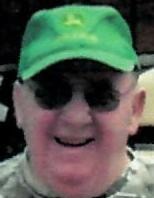 Calvin T. Pittman, 79, of North Milk and Water Road, Everett, PA; passed away on Sunday, November 25, 2018 at UPMC Montefiore Hospital, Pittsburgh, PA. He was born on July 28, 1939 in Everett, Pennsylvania; a son of the late George W. and Mary Jane (Taylor) Pittman. He is survived by many nieces, nephews, cousins and great nieces and nephews; special friends Brian and Cheryl Figard and a special thank you to Louise his caregiver who spent many days with him at his home Louise. He was the last surviving member of his immediate family, he was preceded in death by siblings Margie “Grace” Koontz, George Pittman, Jr., Vearl C. Pittman, Miles Donald Pittman, Vivian J. Bowser, Jerry Pittman and infant brother Emerson Pittman. Calvin served in the United States Army as a Private First Class from 1962-1964 in Germany. He was employed at New Enterprise Stone and Lime Company for thirty-seven years until his retirement in 2002. Mr. Pittman was a member of the Everett American Legion Post No.8, Everett Masonic Lodge F.A&M. No. 524 and Teamsters Local Union #453. He was a great horseman and enjoyed leather carving, trail-riding, restoring old cars and working in his garage. Calvin also enjoyed going to eat Chinese food and attending auctions. A Memorial Service will be held on Thursday, November 29, 2018 at 1:00 P.M. in the Chapel at Akers Funeral Home with Pastor Dean Thomas officiating. Friends will be received from 12:00 Noon until the hour of service. Burial will be held at Everett Cemetery with full military honors conducted by the Everett Area Honor Guard.